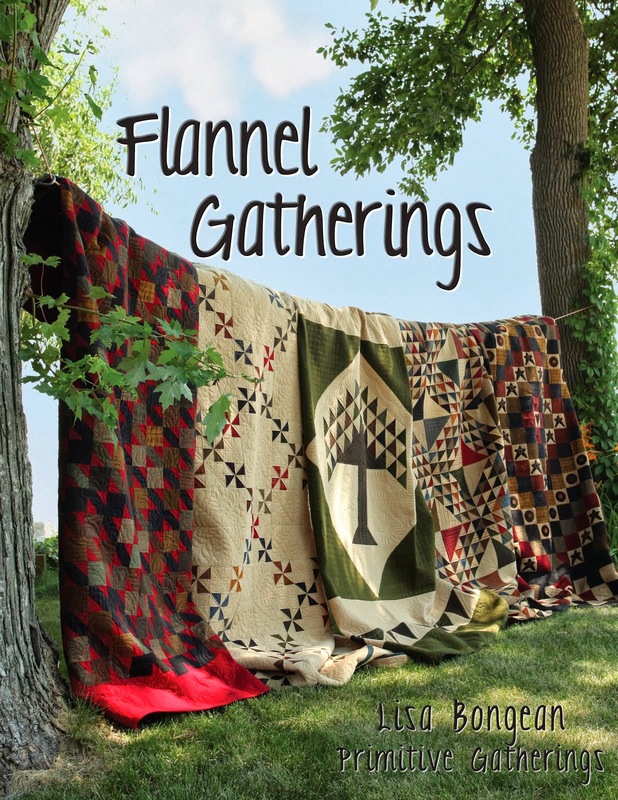 I so love to read your posts and see what you have been up to quilting wise. I get plenty of ideas from what you are doing and are determined to try them myself. But not now, my sewing machine is poorly and they cant seem to fix it! It's been in the repair shop twice now and still not back to normal after 4 weeks. I haven't got a hope to finish any of my Christmas gifts before Christmas so am making different plans. Very VERY frustrating! hope Alyssa is better soon and you don't get 'it'! your quilting is lovely as always! 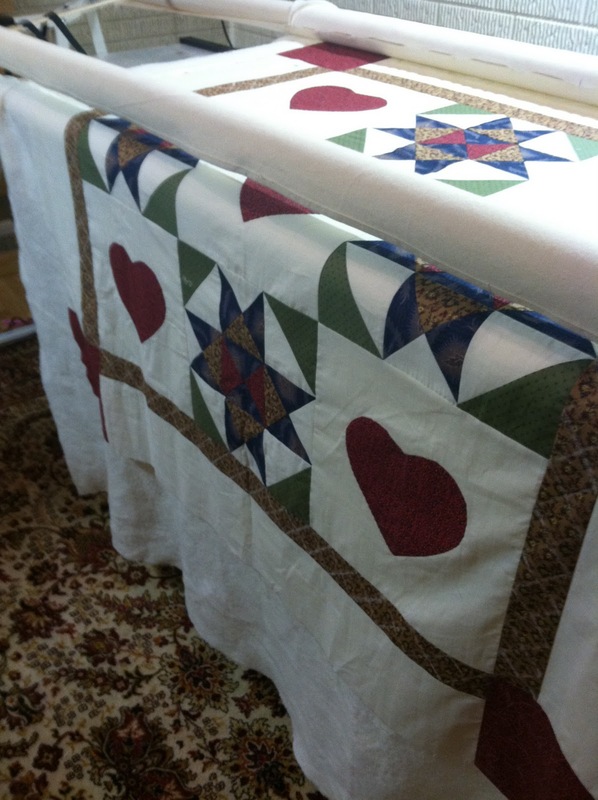 good luck getting done w/customer quilts so you can enjoy the holidays yourself. Striking, Linda. I love the 'swirleys'. As always...beautiful. If there is one thing I learned is December is just too stressful to quilt for others and try and do all the things we want done for our families etc. I hope you can finish in ample time to just relax and enjoy the merriment of the season. Another beautiful quilt with some more of your beautiful quilting, Linda. I love Quilter's Dream, but have you tried the Tuscany wool batting yet? Or how about the Tuscany silk. Those are my absolute favorites. But I have no idea how they work with a longarm. Sure hope your little one doesn't get sick. I'll say some prayers for her. Do try to enjoy the season and I hope you don't get sick either. Why does sickness always happen this time of year? My 25 year old daughter is battling the crud. Lovely quilting as usual. I hope you'll do a batting review. Looks like you have some legacy batting in your box. I bought some of that and will be using it soon too. Your quilting is stunning as always! Good luck with getting your quilting done. If anyone can pull that miracle, it will be you, Linda! You really made this quilt of Mary's come alive! I also look forward to seeing the back of each one - it tells a story in itself! I hope Alyssa is feeling better soon - Santa isn't far away! You did a wonderful job on Mary's quilt! I think your really going to enjoy using those new batting samples. I sees some in there I haven't tried yet and hope you give us a report as you use them! Beautiful quilt, and as always, beautiful quilting! Another fantastic quilt, beautiful quilting!! I hope Alyssa recovers soon...and have fun with the wadding samples! What a beautiful quilt. Love the way you have quilted it. Hope Alyssa gets better soon. Thanks for sharing these lovely pictures and the tip on how you did the template. Great idea. It always seems that once one gets sick, the rest of the family follows. I hope Alyssa feels better soon and that it stops there. 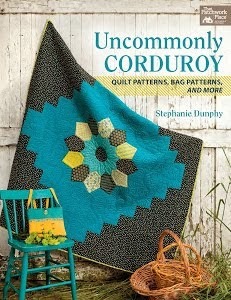 Beautiful quilting, love the idea of doing designs and patterns on my quilts, something I plan on practicing this year. Oh hon, I hope both girls are fine by Christmas - and that you two don't get it as well! You did a stunning job on this quilt, I really love the heart motif! Takes my breath away to see one of your creations!! I actually sigh, and ooooo and awwww! Your quilting magic has turned it into a reversible quilt because the back is as wonderful as the front. I appreciate you taking the time to do a post. The quilt is just fabulous! Love the back too. I know with Christmas you are so busy. Be sure to take care of yourself. Wonderful quilting. 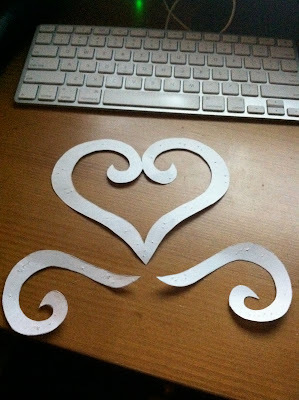 I love the heart motif you used. I hope the sick bug leaves your house very soon. Beautiful! 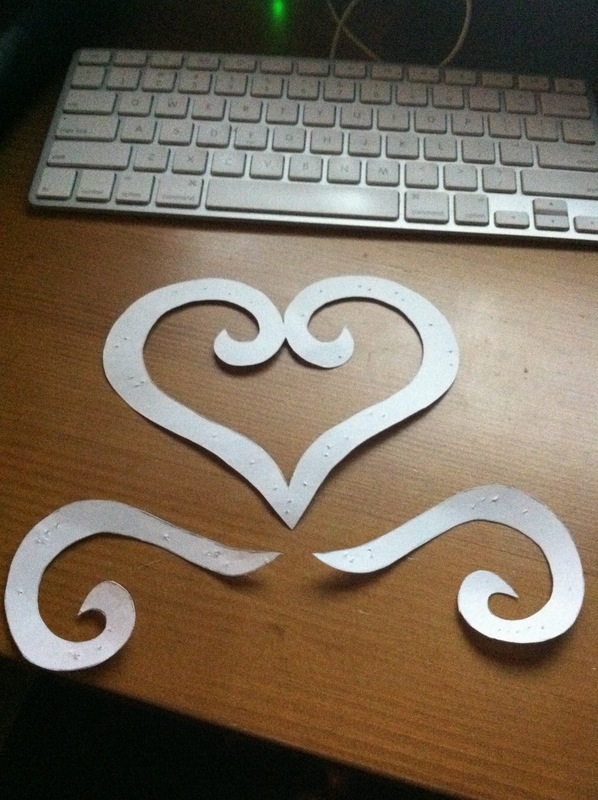 That corner heart is perfect. You really are so talented, but then I guess I've probably said that every time I comment. I wish I had have of your talent! Hope Alyssa is better and hopefully you don't get it. The quilt is so pretty and I love the hearts! Hopefuly you can rest some during Christmas. Hope you're all healthy and doing fine. 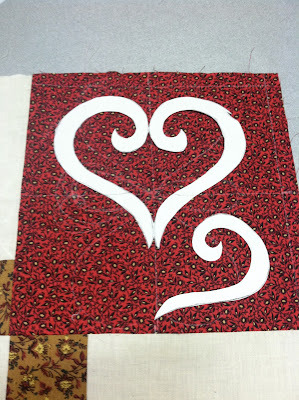 Your machine quilting is awesome, I wish I could see it in person! Enjoy this lovely season! Another job well done. I'm suffering, too, this winter with work overload. It's really impinging on my ability to get into feeling the joy of the season. It just feels like a big hassle to me. I hope your load lightens soon and you're able to relax and enjoy a little! HOpe all the illness is behind your family and the holidays will be healthy and happy for everyone. Your doing an amazing job for your clients... another beautiful quilt! Beautiful Quilting! So glad I found this blog! Merry Christmas...and a healthy and happy New Year!